Learn what new documents may be required as of January 1, 2014 for filing fictitious business name statements. Discover where to find forms for the affidavit of identity (see the link at the bottom of this page). View the video below for quick instructions on filing the affidavit of identity. If you have questions, contact a business attorney in California for more information or to get help complying with the new law. Recent changes in California law mean that those starting businesses must clear a few more hurdles when setting up or modifying business entities. A legislative amendment to the Business and Professions Code mandates that additional documentation is required when filing a fictitious business name statement. The new documentation isn’t required in all California counties, however. Each county may choose whether or not to adopt these requirements. Though Los Angeles County businesses are affected, businesses in Orange County are not because Orange County hasn’t adopted the new rules. 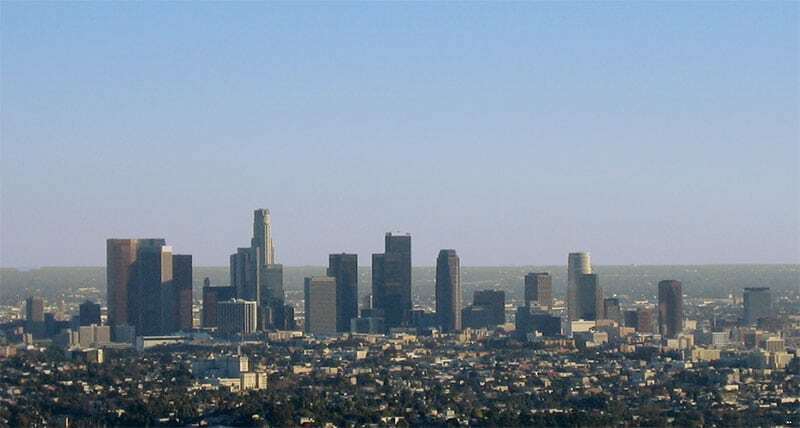 We have a client that is doing business in Los Angeles. For personal liability protection and tax advantages offered by a small business S corporation, he incorporated his business in 2012. With the development of his business and certain specific brands, he decided it would be best for the corporation to utilize fictitious names to give each brand its own particular identity. Ordinarily, all that would be required would be the filing of a fictitious business name statement in the county where he was doing business. In this case that would be Los Angeles County. However, it is not that simple anymore. Los Angeles County now mandates that an affidavit of identity accompany fictitious business name statement filings. Once completed, there are 3 ways to submit the form. Note that, when submitted by mail, the affidavit of identity form must be notarized. 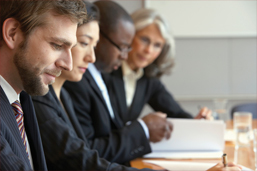 For help specific to your business, contact a Los Angeles small business attorney. In-person: Registrants must present a completed fictitious business name statement, show valid identification and complete the Affidavit of Identity form. Mail: Registrants must submit a completed fictitious business name statement, and notarized Affidavit of Identity form. Delivery by an authorized agent: Persons presenting fictitious business name statements on behalf of the registrant must show valid identification, and the complete Affidavit of Identify form or Authorized Agent form, where applicable. See the video below to learn more. 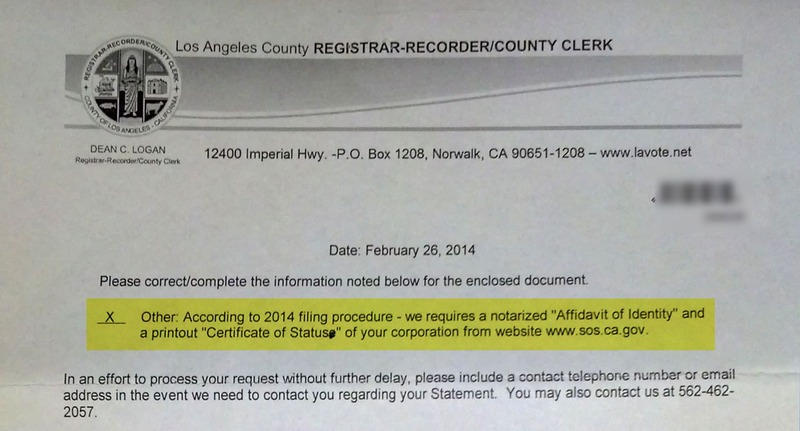 Effective February 3, 2014, if the fictitious name statement registrant is a corporation or limited liability company, the Los Angeles County registrar/recorder County Clerk’s office will require an original certificate of status issued by the Secretary of State certifying the current existence in good standing of their business entity and shall be attached to a completed affidavit of identity statement. Please note that no additional fees are required when filing a fictitious business name statement in Los Angeles County. Get the assistance you need today. Contact California business attorney Andy Gale.